R.D.W. 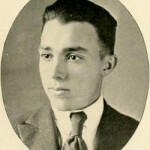 Connor, first Archivist, October 10, 1934–September 15, 1941. [64–NA–1–37]. Photograph taken from National Archives. Each year, The Society confers the Robert D.W. Connor award, the Hugh T. Lefler award, and the Outstanding Teacher of North Carolina History Award. Robert Digges Wimberly Connor (September 26, 1878 – February 25, 1950) was the first Archivist of the United States. Connor was born in 1878, in Wilson, NC. He earned a bachelor’s degree from the University of North Carolina at Chapel Hill in 1899. After graduation, he dedicated his life to teaching, history, and archives. Among his many accomplishments, he served as a founding member of the North Carolina Historical Commission and in 1907 was named the first Secretary of that commission. In 1921 Connor became a professor of history and government at the University of North Carolina, where he taught until 1934. On June 19, 1934, the National Archives was created, and on October 10, 1934, President Franklin D. Roosevelt nominated Connor to be the first Archivist of the United States. Connor began his duties immediately, although the Senate did not confirm his appointment until March 20, 1935. 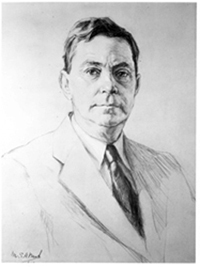 Connor served as the Archivist until 1941, and during his tenure he laid the foundation for the new agency. After leaving the National Archives, Connor returned to the University of North Carolina to teach until his retirement in 1949. Hugh T. Lefler, 1921. Photograph taken from Digital NC. Hugh Talmage Lefler (December 8, 1901-April 21, 1981) was a historian and author. He was born in Cooleemee, Davie County. After attending Weaver Junior College, he graduated from Trinity College in Durham in 1921. He received his master’s degree at Trinity in 1922 and then entered graduate school at the University of Pennsylvania where he received a doctoral degree in 1931. 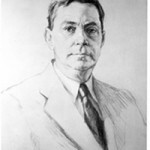 Lefler joined the faculty of North Carolina State College of Agriculture and Engineering in 1926 and remained there until 1935, when he became a professor of history at The University of North Carolina following the departure of Professor R. D. W. Connor to become archivist of the United States. Although Lefler enjoyed his work in the history of colonial America and often said he preferred to be identified as a historian of colonial America, it was as a historian of North Carolina that he came to be widely known. Even before leaving Raleigh, he had prepared a source-book for North Carolina history and issued it in duplicated form. In 1934 it was published by The University of North Carolina Press as North Carolina History Told by Contemporaries, and it was revised and enlarged four times over a thirty-year period.